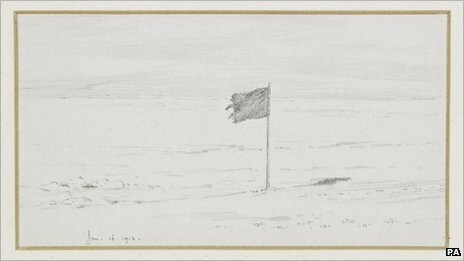 The story of Scott’s tragic journey to reach the South Pole ahead of his Norwegian rival is well known. It’s a tale of personal ambition and national pride, of grim courage and extraordinary endurance, of ill luck and wrong decisions – and of stubborn, almost foolhardy, determination. The writings of those who died on that journey – Dr Wilson, Lieutenant Bowers, Captain Oates, Petty Officer Edgar Evans, Captain Scott himself – have inspired countless retellings, both factual and imagined. 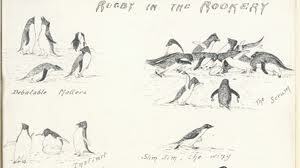 But at an exhibition at the Scott Polar Institute in Cambridge this month there is chance to view the diaries and letters of other, less famous members of the sixty-five man expedition, together with their photographs, maps, drawings and workbooks. It is an extraordinary insight into that ill-fated mission. While the questions still remain (why did Scott decide to ship ponies instead of dogs to pull his sledges? 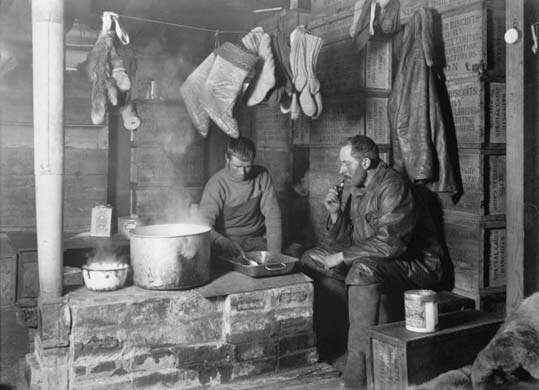 why, at the last moment, did he add an extra man to his team for whom there were no skis and no supplies), these writings tell a more human story: one of ordinary daily life with its humdrum rituals; the solace of camaraderie; satisfaction in a work task accomplished; the contentment that comes when basic needs of warmth, food and shelter are met. Many of the items in the exhibition have never been shown to the public before and many (according to the Institute’s website) are unlikely to be displayed again this century. It’s not difficult to see why. The items are at risk of deterioration. Most of the diaries and letters are handwritten and the ink is fading. 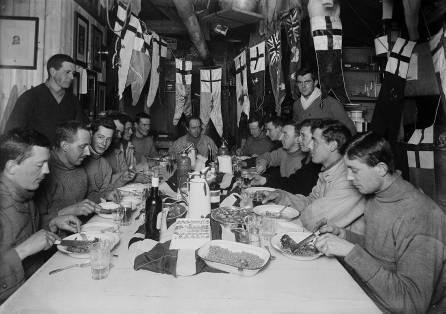 The artifacts – which include a decorated ‘tree’ for a Christmas feast and paper menus in the shape of penguins – are hand-made from fragile materials. There is a wonderful comic (with articles, poems and cartoons) produced by the six men on the ‘Northern Party’ who were trapped for twenty-one months in a cave they dug themselves in the Antarctic ice, its pages smudged with smoke from the blubber stove that kept them alive. Some of the maps and papers showing column after column of precisely recorded data look as if they were executed in pencil. This is a rare opportunity to discover the fuller story of Scott’s legendary quest. 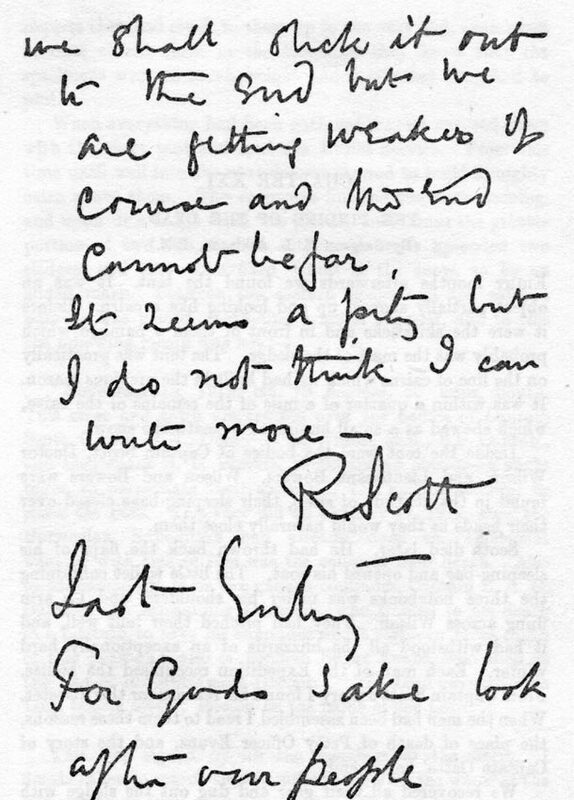 As Scott said in one of his final letters ‘these rough notes… must tell the tale’. They are a testament to the sixty-five men who voyaged on that three-year long expedition, as well as to the importance of recording and preserving the stories of all our lives. The exhibition is at the Scott Polar Institute in Cambridge and runs until 5th May. Admission is free.